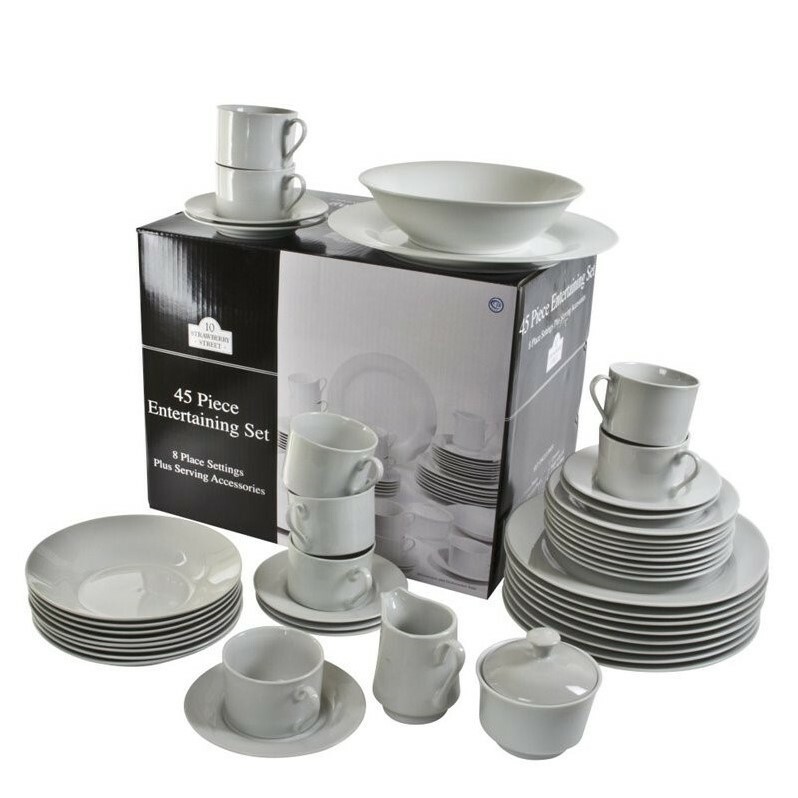 10 Strawberry Street - Dinnerware Sets - SM4500SQTSS - From dinner to dinner party, these boxed sets will have you throwing a proper soiree in no time. 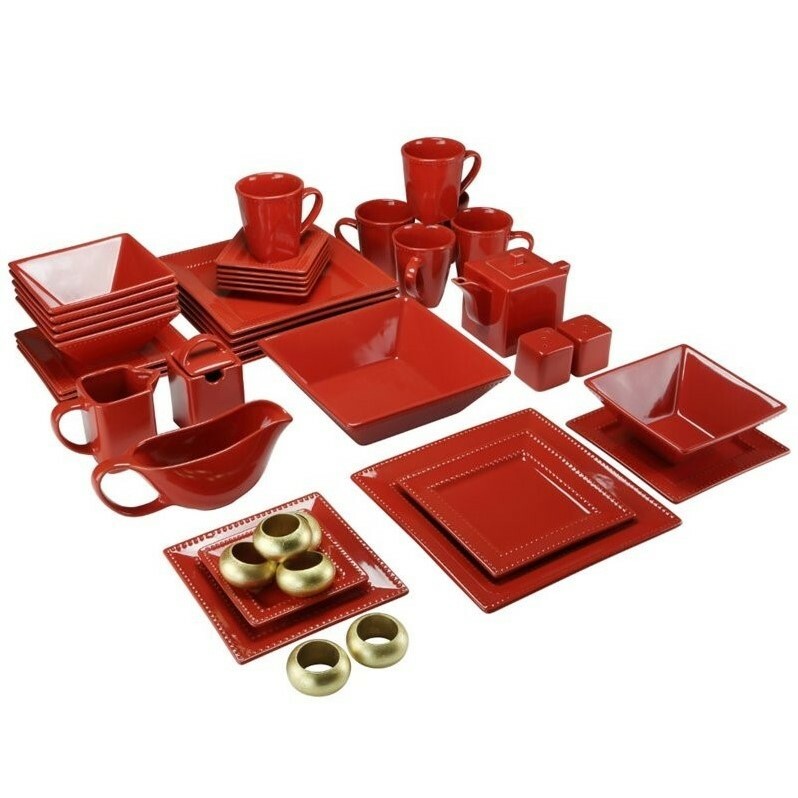 Available in a variety of shapes and styles, discover the right one to set the perfect tone for your gathering.Set Includes: 8 x Dinner Plates - Dimension : 10.75 D x 1.25 H ; 8 x Salad / Dessert Plates - Dimension : 7 D x 1.25 H ; 8 x Soup Bowls - Capacity 7 oz. Dimension : 8 D x 1.5 H ; 8 x Saucers - Dimension : 6 D x 0.75 H ; 8 x Cups - Capacity 6 oz. 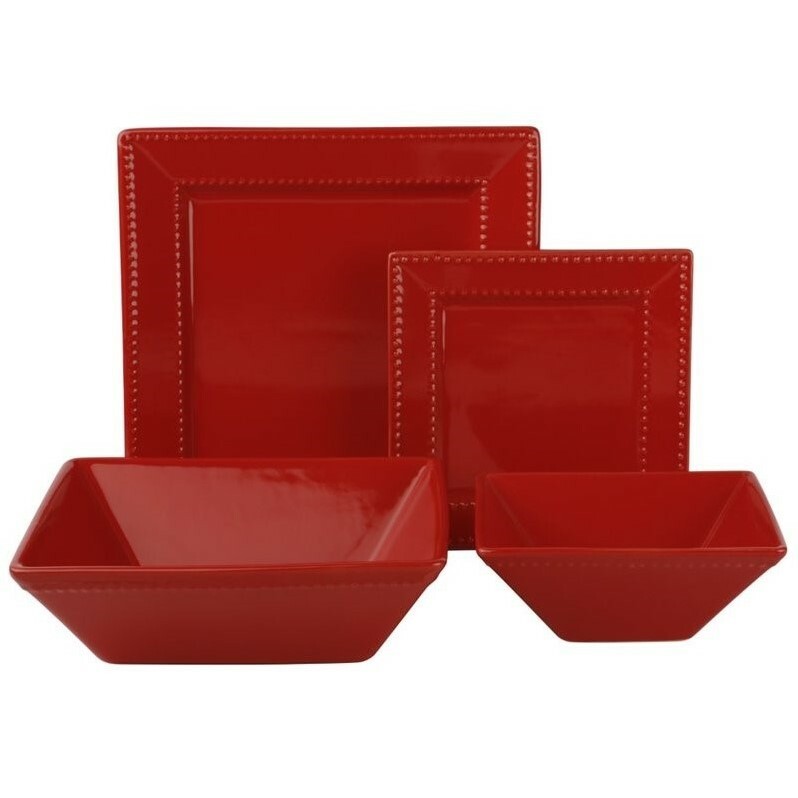 Dimension : 3.5 D x 3.25 W x 2.5 H ; 1 x Large Serving Platter - Dimension : 12 D x 1.25 H ; 1 x Large Serving Bowl - Capacity 30 oz. Dimension : 9.75 D x 2.75 H ; 1 x Milk Creamer - Capacity 8 oz. Dimension : 5.25 D x 2.5 W x 4.5 H ; 1 x Sugar Bowl with Lid - Capacity 10 oz. 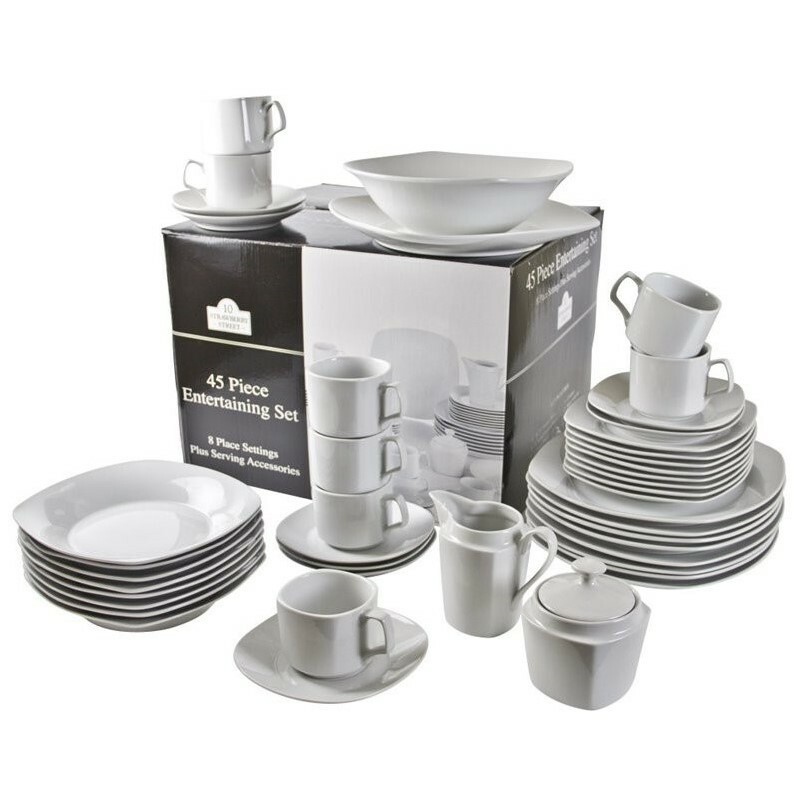 Dimension : 3.5 D x 3 W x 3.25 H. Finish: White; Material: Porcelain; Dishwasher Safe, Oven Safe to 500F, Microwave Safe. Specifications:Overall Product Weight: 43 lbs. The best price found is $99.99 from Cymax Stores.